In the project Assets folder create a new folder called Scripts. This is the location where all of our custom code will be stored. Because this project is fairly simple, we will place all of them at the root of this folder, if the project was more complicated I recommend creating a folder hierarchy to keep the custom project code organized. Create a new script named “SpatialUnderstandingState” in the Scripts folder. This script will contain the logic for displaying information on the billboard. This creates the basic skeleton of the script that will update the billboard message with each frame. The update method is called once per frame, it calls the Update_DebugDisplay method. This methods updates the text and color based on calls to properties that return hard coded values for now. Press Play on your project, you will see that the Hello World from the Billboard has changed to “PrimaryText” and “DetailsText” by the new script. 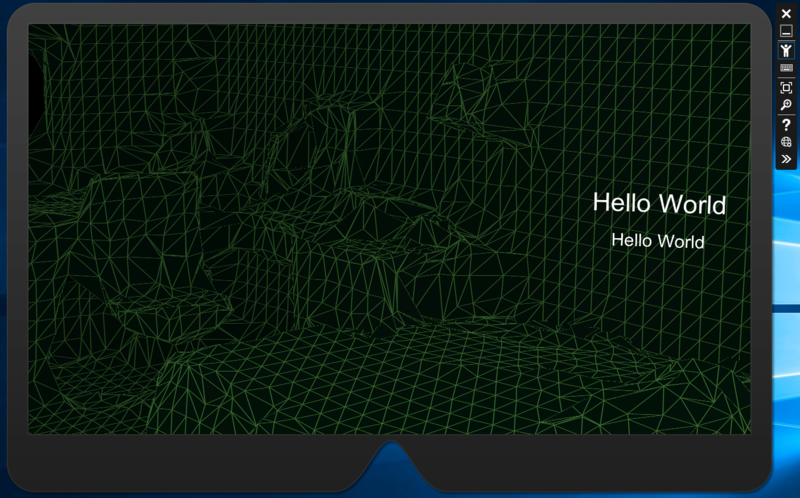 Build and Deploy to HoloLens or to an Emulator. Once the Spatial Understanding map is displayed, and we cross the minimum threshold, stats are displays about the quality of the scan. This information will be used in the next section. Download the completed app Western Town in the Windows Store! Completed Source code from the entire tutorial available on GitHub. At this point in the tutorial, when I attach the code to the 3D text, the spatial understanding mesh never appears, and accordingly, the text always shows that the scan is incomplete. When I deploy without the 3D text, the mesh shows up. Has anyone else ever had this problem? I’m currently trying to compare this code to the HoloToolkit spatial understanding code to find the differences and debug. I haven’t tried the tutorial with the latest version of the HoloToolkit, but it wouldn’t surprise me if something has changed, I will give it a try and update the tutorial as soon as I can. I seem to have the same problem, trying to implement spatial understanding. The scan remains incomplete and won’t progress through the app without finishing. Any updates from you guys? Thanks. Yesterday it worked somehow, so I probably missed something the first round. Thanks! I had the same problem and found that the placement of the camera was critical. After some tries I understood that I was only able to see the ceiling because I was beneath the floor. Changing the camera position so it was within the space of the Room defined in Spatial Mapping solved the problem. I don’t know why, but i’m not able to see the spacial understanding inside the emulator. I use the latest version of the HoloToolkit and Unity 2017..0.0f1. Are you able to help me on this? It’s been my experience that it sometimes takes a very long time to get spatial understanding working inside the emulator. Sometimes I have to switch the simulated room to get it to work, i’d recommend trying that and waiting a few minutes to see if it starts working. The simulators ability to do spatial understanding is quirky at best, and I usually just work on the device for spatial understanding projects.